‘this’ turned out to be Anthrax’s 1985 LP ‘Spreading the Disease’ and it opened my life up to a whole new world of music and culture. At the time Anthrax seemed just like us – they liked horror movies, comic books, tight jeans, big trainers, skateboarding and leather jackets, and they played loud fast guitar music that our parent hated.. a match made in heaven..or Hell. As my gateway music drug, Anthrax opened me up to the new wave of thrash over the coming weeks, months and years bands like Slayer, Metallica, Megadeth and Testament all gave me my fix, but opened my eyes to there bands before my awakening like Discharge and The Misfits, Rap bands like Public Enemy and the Beastie Boys and even harder heavier metal like Napalm Death & Bolt Thrower as well as off shoots like S.O.D. and founding member Dannys new band Nuclear Assault. The next few albums, catching a few gigs including an awesome Monsters of Rock at Donnington, cemented Anthrax as one of my go to bands. 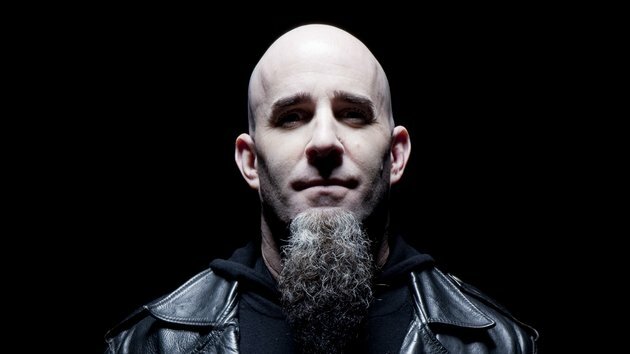 As I got a bit older and stopped following music as much, Spreading The Disease, Among the Livings and all the Albums upto 90/91 was Anthrax to me, I stopped looking for new Albums, stopped reading Kerrang and they just fell in line as a band that gave me that cool feeling like I was 16 again. The band went through a few lineup changes, including parting ways with Joey, the vocalist, so when I listened to newer albums, I enjoyed them but they didn’t spark the youthful flashbacks. Well at the end of 2011 that all changed, Joey had rejoined the band and they released their first album in 8 years – the awesome ‘Worship Music’ and I remembered why Anthrax got me hooked on Metal. 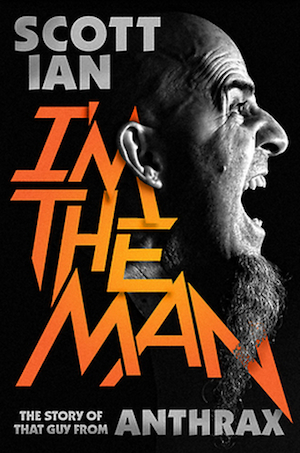 Anyway, this is a long winded way of introducing Guitarist and spokesman of Anthrax – Scott NOT Ian’s autobiography – for Anthrax fans new or old it’s full of insider knowledge, band tensions that you never new existed, humility and honesty from one of modern metals founders. I read the book in 2 days, and I just couldn’t put it down, immersed in the metal of my youth and all that flowed between then and now. If you ever wanted to know what life is like in a metal band, creating new genres in music and entertaining the planet.. here’s a good place to start!